The Smiling Pains of Novelist Destiny Booze | Make-believe is more than a child's game! CTR Blog Takeover – Quiz: What kind of leading male would you choose as your hero? Also, don’t miss out on my back-to-school chat! You could win a copy of my new release, Another Five Minutes. CTR Blog Takeover -All Day Event – Back-to-School Chat! I’m guest blogging at Coffee Time Romance today! It’s a back-to-school chat. Click on over to see what I was like in high school. To enter to win a free Kindle copy of my new release, Another Five Minutes, leave a comment telling me what you were like in high school. CTR Blog Takeover -All Day Event – Chocolate and Book Giveaways! I’m going to be in Coffee Time Romance’s house today. We’re going to start the day off with a chocolate giveaway. It’s a guessing game. How many pages are in the book featured on CTR’s blog? Give it a try! Good luck! Have you signed up for my author newsletter? GIVEAWAY alert!!! 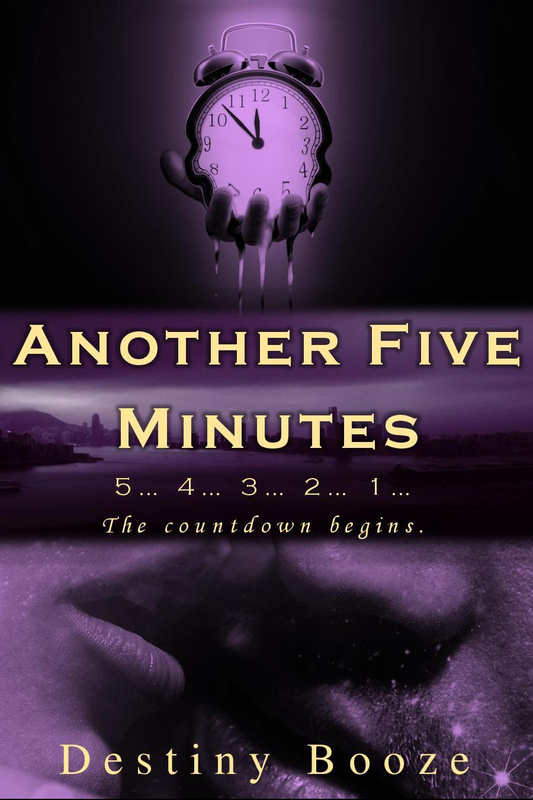 Anyone who signs up for my author newsletter by 09/29/2018 will automatically be entered for a chance to win a signed copy of ANOTHER FIVE MINUTES. Please keep in mind this is not an automatic gift for signing up. Your email address will only be used for author news, updates, and announcements. You may unsubscribe at any time. To sign up, please email destinyboozeauthor@gmail.com with SUBSCRIBE in the subject line. 🙂 A winner will be announced 9/30/18! Good luck! 5 Stars for ANOTHER FIVE MINUTES! Wonderful characters, kept me turning the pages. Christine Woinich wrote the following review. I’m guest blogging at Romance Junkies today! Learn five fun facts about me. To enter to win a free ebook of my new release, Another Five Minutes, leave a comment telling me a fun fact about you. Another Five Minutes Giveaway alert! I’m guest blogging at Just Romantic Suspense today! The blog title is What were you like in school? Click on over to see what I was like in high school. To enter to win a free ebook of my new release, Another Five Minutes, leave a comment telling me what you were like in high school. ANOTHER FIVE MINUTES is available today!!! Please help me celebrate my book release! Or you could virtually stalk me at any of the below tour dates for today! I would love to see you at every single one. There is, of course, a giveaway going on during the tour. Please jump in and enter to win! Would you like to review ANOTHER FIVE MINUTES? Scott wants to help Brooke find her missing twin, but he might not be able to. He’s damaged, and she needs a hero. Can he be the man she needs? Review copies are available now. If interested in receiving a free .pdf or .mobi file for your honest review, send an email requesting a review copy to: destinyboozeauthor@gmail.com.